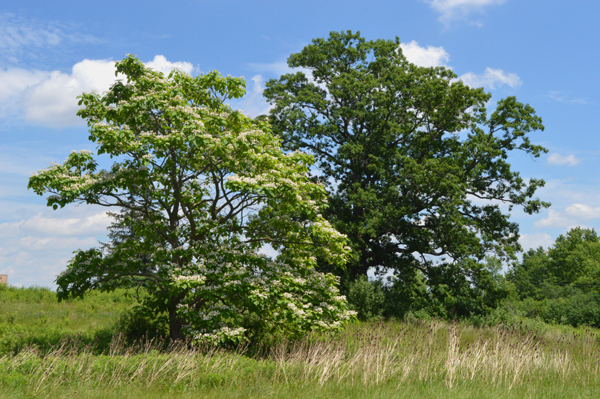 A Northern Catalpa in bloom stands in front of a solid White Oak in the summer field. These are two of my favourite trees that I drive by each day on my way into work. 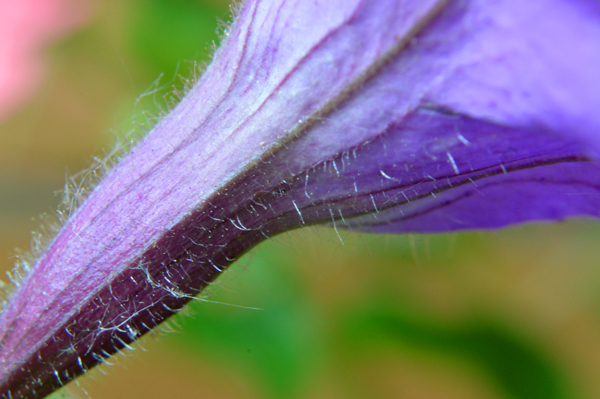 Close on a hairy bloom that smells so nice. Happy Friday! 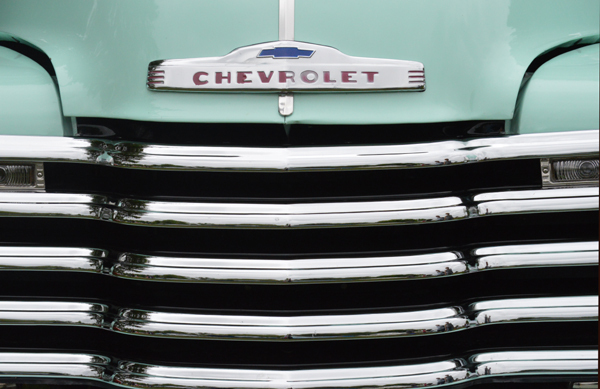 Close on a shiny, old truck. 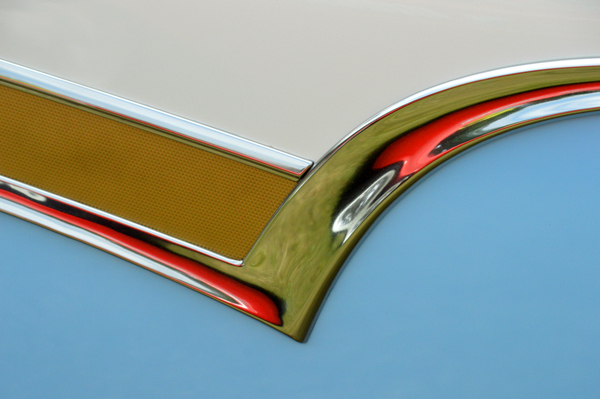 A lovely little detail on a ’57 Ford. 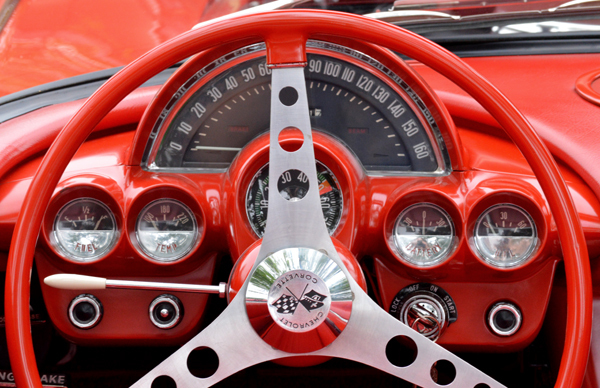 Roman Red driver’s seat of a 1960 Corvette. 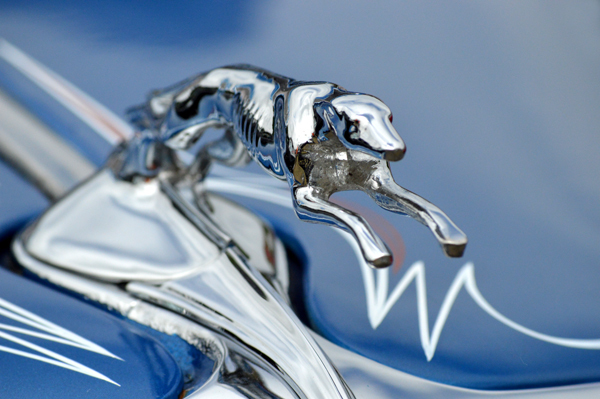 A silver dog atop a 1934 Ford 5 window Hot Rod seen at the Fleetwood Country Cruize-in earlier this month! 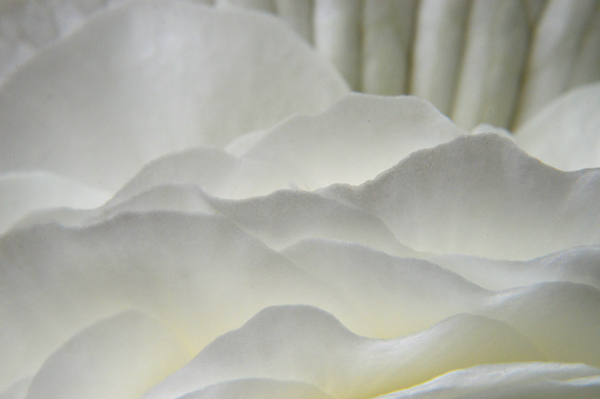 Close on an elegant begonia.